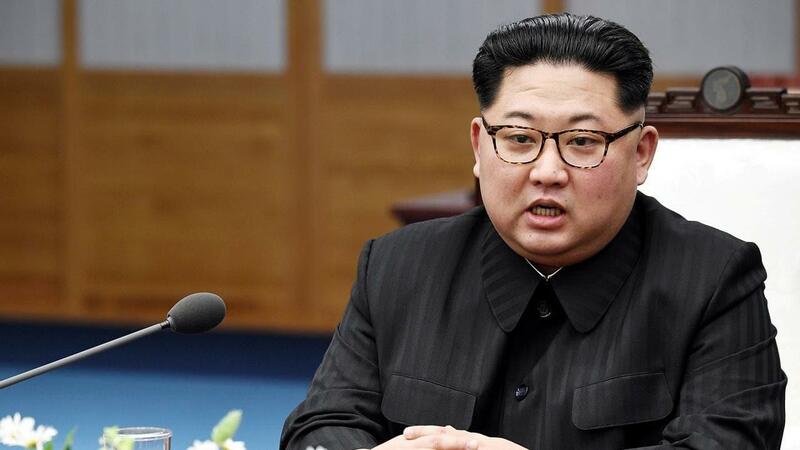 SEOUL, April 1 (Xinhua) -- South Korea's presidential Blue House said Monday that it will consider inviting Kim Jong Un, top leader of the Democratic People's Republic of Korea (DPRK), to the South Korea-ASEAN summit later this year. Senior Blue House press secretary Yoon Do-han told a press briefing that South Korean President Moon Jae-in will hold a summit meeting with the leaders of 10 ASEAN (the Association of Southeast Asian Nations) member countries from Nov. 25 to 26 in the country's southern port city of Busan, some 450 km south of the capital Seoul. The summit is aimed to mark the 30th anniversary of the establishment of the dialogue relationship between South Korea and the ASEAN, according to the Blue House. An unidentified Blue House official told local reporters that Seoul will review the DPRK leader's participation in the upcoming summit in consultations with the ASEAN side while taking into account situations on the Korean Peninsula. During the South Korea-ASEAN summit in Singapore last November, Indonesian President Joko Widodo offered to President Moon inviting the DPRK leader to the summit. Moon positively responded to the proposal, according to local media reports. The South Korean government has advocated the so-called "New Southern Policy" to strengthen economic and diplomatic relations with the ASEAN members.